traveling and gadgets don’t go hand-in-hand, especially with the tightened airport security and not to mention that these days, we have more than just a single laptop to bring with us. 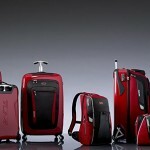 this is where EO Travel Collection by Incase can help. 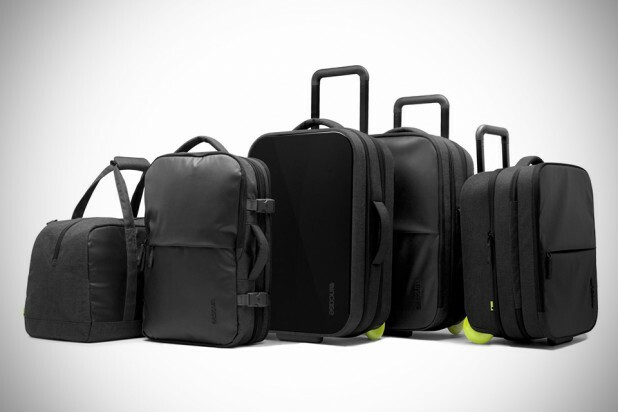 the collection consists of five travel bags: Hardshell Roller, Roller, Roller Brief, Backpack and Duffel – all designed to make your security check ordeal a little more painless. 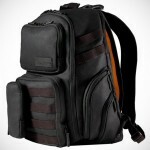 following the Incase’s tradition of clean, minimalist design mantra, all bags are carry-on compliant with most airlines and feature dedicated padded compartments for your Apple devices including MacBook (up to 17-inch, depending on model) and iPad, internal organizer pockets for essentials such as chargers, mouse and other small items, weather resistant design, and expandable up to 35% (except for the duffel) so that you can pack in more for a slightly longer short trips. the latter makes perfect sense cos’ you wouldn’t want to be spending time hunting down your check-in at the belts for precious short trips. other features for the Roller series include rubberized handle grip and custom designed wheels in attractive lime green hue for smooth rolling. 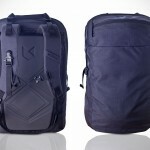 another worthy mention would be the butterfly design of the technology compartments in the Hardshell Roller and Backpack that open flat while still keeping your devices secure and protected, ready for airport security screening. 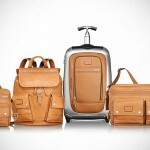 the EO Travel Collection by Incase is available for purchase now with a starting price from $149.95. click on the above image for larger view also check out the individual product video after the break.